Love the mirror-like quality of the image. Great colors, too. The story behind "Cyclist at the equator, Uganda"
When going from Uganda’s capital Kampala to the Rwenzori mountains, we of course had to stop near the big white line that was drawn across the road: the equator! 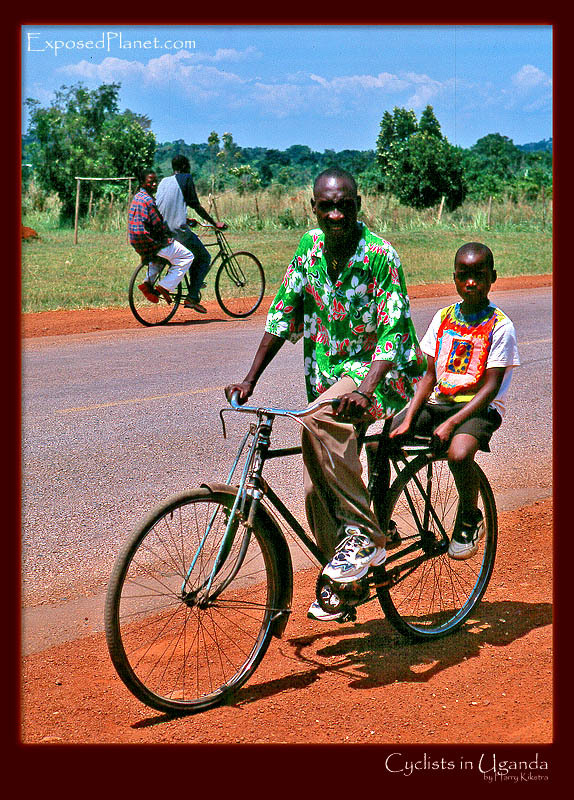 Anyway, I also got some time to take a few pictures of the local people and what I enjoyed most was to see them cycle. Being from Amsterdam, I am used to cycle all the time (I do not have a car, nor need one) and over here it is normal to carry people on the back of the bike.